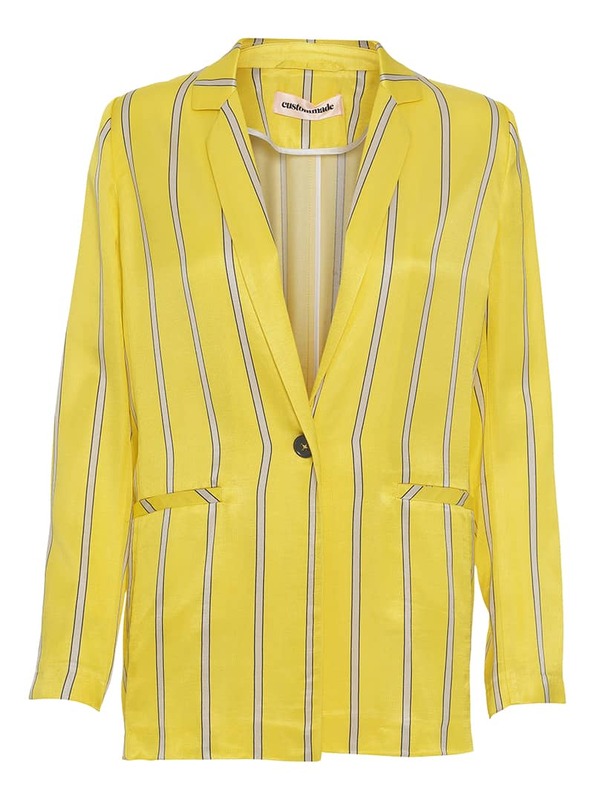 A soft blazer by Custommade crafted in a eye yellow. Detailed with stripes and closed with a large black button. Wear it with the matching Payton trousers that will give it event ready edge or black skinny jeans.